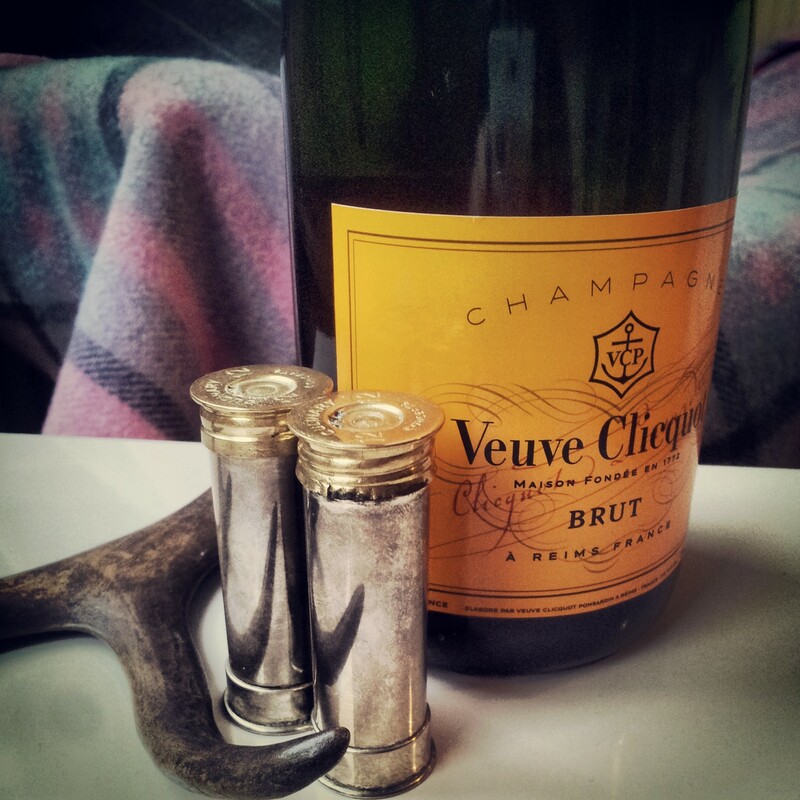 Firstly, welcome to The Fizz and Pheasant. As I am new to the bloggersphere, it may take me a while to find my feet and decide which blogger shoes to wear, so bare with me. The idea is to share delicious recipes, everything from food ideas that work to, inevitably, things that don’t (every day in the kitchen is a school day for me). I’ll also be posting about yummy places to eat and drink all over Scotland, and who knows, maybe further afield too. 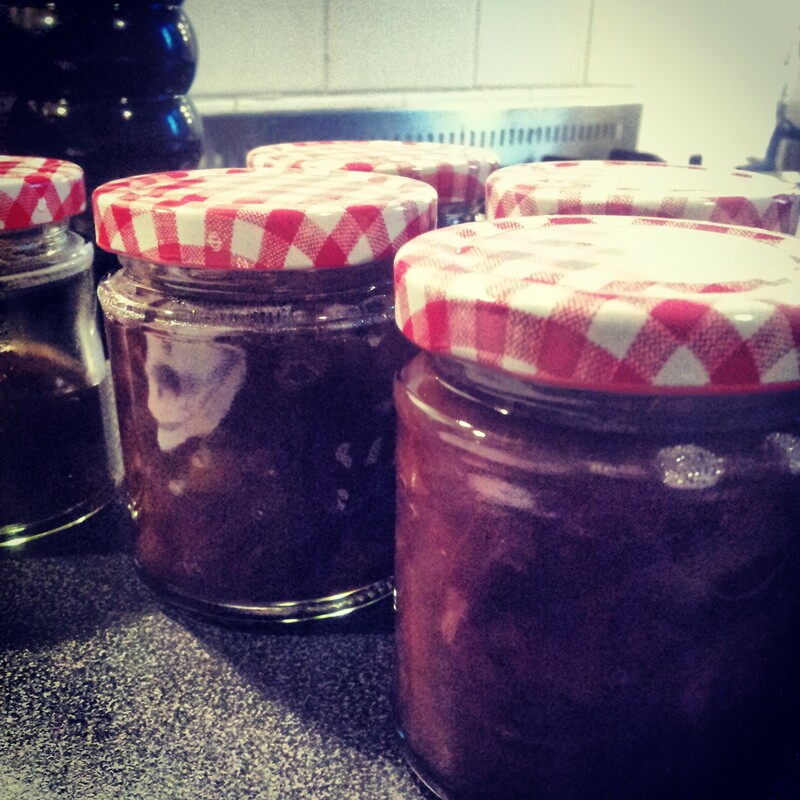 So, first up – preserves! This Christmas my family were cheated out of real pressies and each received homemade chutney,jam and oatcakes. This was my first time making any of sort of preserve, so I was delighted I managed to create edible food for them. Plus my family LOVE cheese, so anything to go with that was hopefully going to be a winner. After seeking MUCH advice on jars, sugar thermometers, timings and flavours I went for a classic red onion chutney, an Asian chilli jam and some Scottish oat cakes. 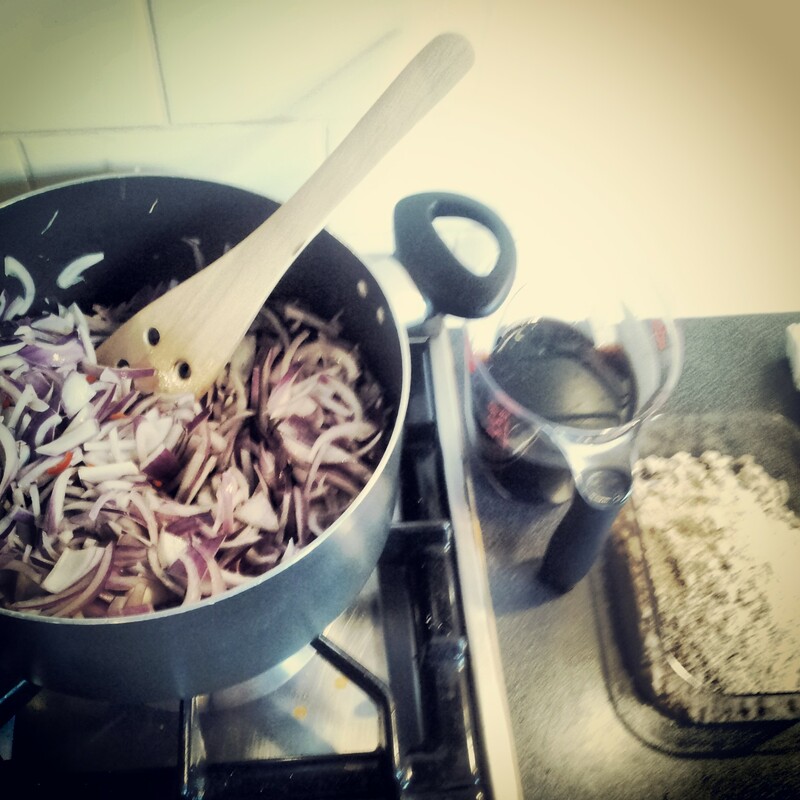 For the red onion chutney I turned to a BBC Good Food recipe, and it really was as easy as it looks. I chopped the onions into strips, next time I think I’ll do squares as it will be easier to spoon out of the jar. To sterilise the jam jars I washed them in hot soapy water and then put them in the oven at 190C. After 20 minutes I turned the oven off and left them in there until I was ready to decant the chutney. For the lids I placed them in a large bowl and poured boiling water over them, also leaving them there until the chutney was ready. Once the onions were soft, I popped all the ingredients in the pan and left to simmer on a very low heat for about an hour and a half (this was much longer than the recipe suggests). When the chutney was dark and sticky, I decided it was ready. The recipe filled four of my 190ml jars, and there was a little bit left over for tasting. Red onion chutney safely in their jars! 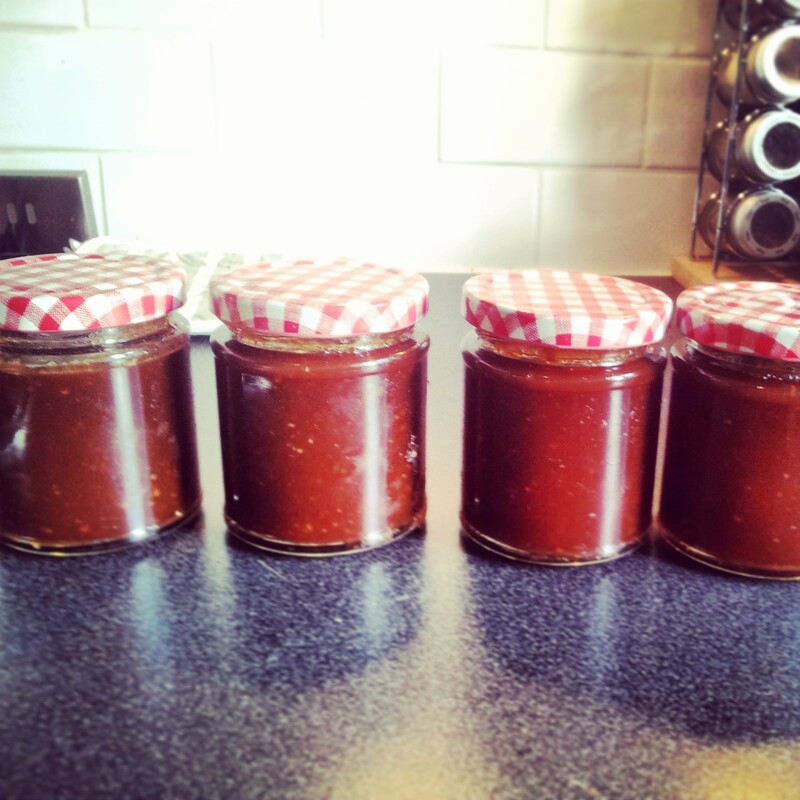 On advice on a good friend, I used this recipe below for the Asian Chilli Jam. This is an “instant” jam recipe, i.e. it only takes 24hrs to set (very handy for me as I only started making these the week before Christmas). I blitzed all the ingredients together, popped the mixture into a large pan and brought to the boil. I then cooked the jam for about 1 hour, or until it had the consistency of branston pickle (not being a branston pickle eater, this was quite nerve-racking to know when it was ready). I then filled my jars and popped them in fridge to set. The quantity above filled just over two of my 190ml jars. Finally, the oatcakes. 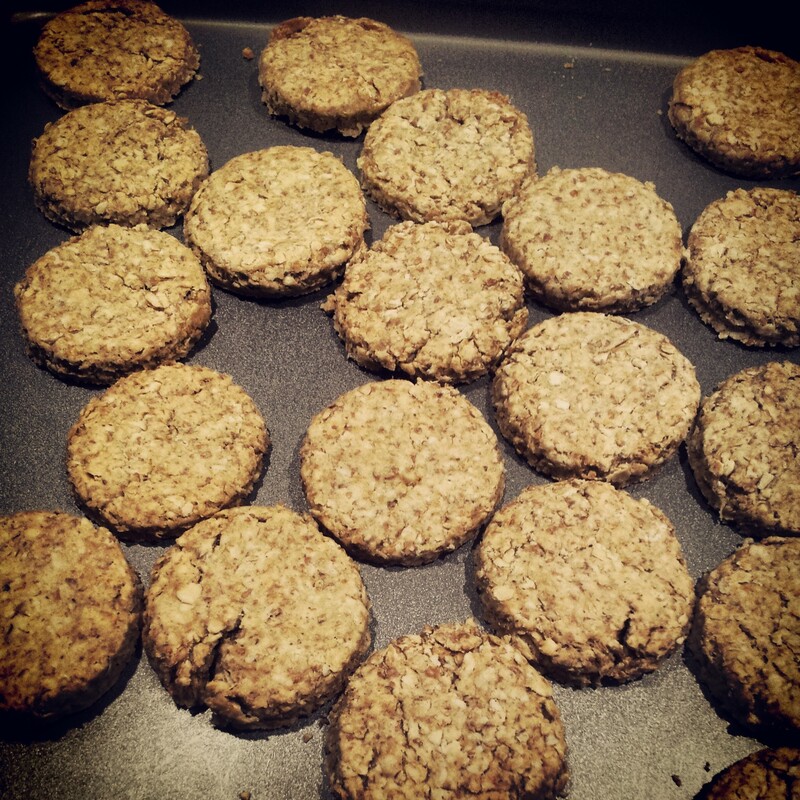 Again I turned to BBC Good Food website and used a recipe for Scottish Oat Cakes. I used Scots Oats (is that the part that makes them Scottish? Not sure). I had to use quite a bit more water than suggested to get a good dough, and I think I added a little more salt than suggested. As you can see I decided to make mine mini in size, no real reason other than I thought they’d look cute. I used a little port glass as my cutter, again no real reason for that, just a lack of cutting instruments to hand. Feedback was good! I’m pleased to say all three items were opened and demolished with some yummy cheeses on Christmas day.